When you need a legal document served in the Tampa Bay area of Florida and beyond Legal Transporters should be your first call. That way you don't waste your time calling all those other guys that "promise" to get it done but end up leaving you calling someone else. We are more than "someone" else, we are something else. If you don't believe us, ask our clients - they will tell you we are something else. Need a service done fast? Our RUSH service is available to help you meet any deadline. 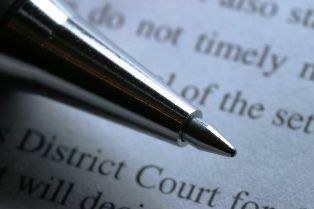 We offer a wide range of litigation support services for lawyers, legal assistants, paralegals and law office staff. Our transporters are available 24 hours a day for your PROCESS SERVING and COURIER needs. Call (727) 710-0067 to talk with a representative now. Read the results of a recent survey of paralegals, legal assistants, and legal administrators as they rate speed of service, customer service, knowledge of laws, success rate, and average cost.